The BBC and the British Museum have joined forces in an original and unprecedented public service partnership, focusing on world history and delivering content across radio, TV and online platforms. At its heart is a landmark series on BBC Radio 4, A History Of The World In 100 Objects, which will broadcast from today, 18 January. This series is a narrative global history told through the British Museum’s unparalleled world collection. The series will tap in to the unique power of objects to tell stories and make connections across the globe. 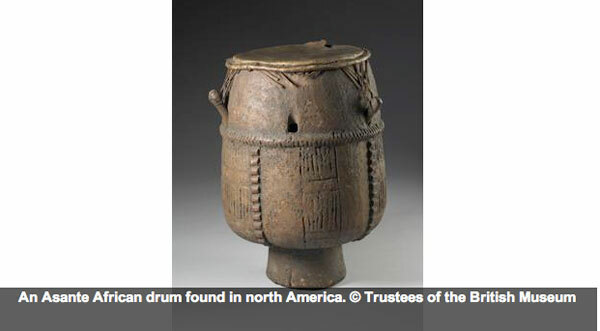 A History Of The World In 100 Objects is, unusually, a global history told through, and about, objects. Each of the 100 episodes in the series focuses on a different object from the British Museum’s collection. Writer and presenter Neil MacGregor tells the fascinating stories behind the chosen item, which may be anything from a mundane tool to a great work of art, but which must be man-made. The series is chronological, beginning with some of the earliest objects from Tanzania dating to almost two million years ago, and running up to the present day. The final 100th object has yet to be chosen but will be a contemporary item that will be acquired by the British Museum. To produce the series, the BBC and the British Museum have come together in an ambitious partnership to ensure the widest possible access and engagement across radio, TV and online. The “A History of the World” website is the hub of the project, drawing together all the major strands. 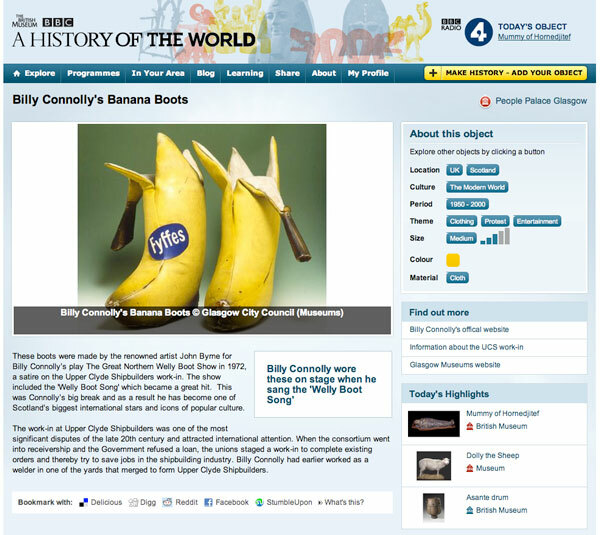 The site will offer a unique combination of opportunities to listen, watch and take part in “A History of the World”, with the Radio 4 programmes available to listen to or download, forever. Through video and a ‘zoom in’ facility, users will be able to examine photos of the 100 objects in intricate detail. 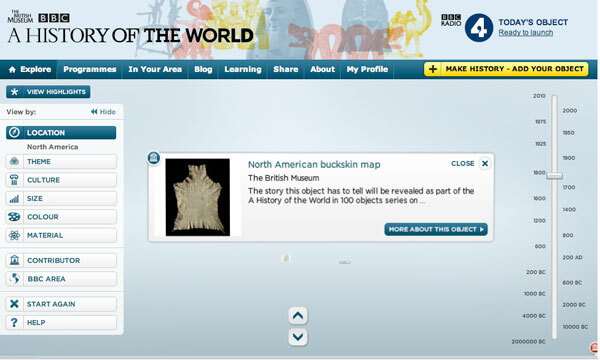 And fascinating insights from curators and experts will be available across each object’s page, to give users the historical context of each item. As well as the British Museum’s 100 objects from the Radio 4 series, hundreds more have been contributed from over 350 museum venues across the UK, all telling a history of the world from their local perspective. 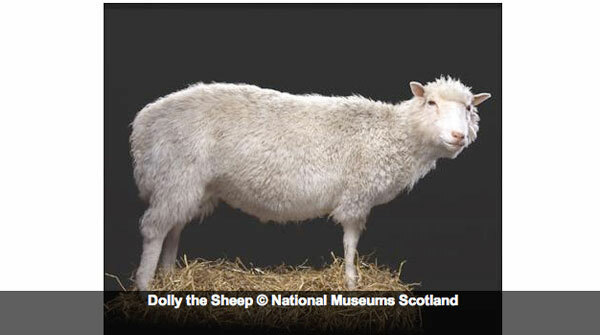 For example BBC Scotland has selected 60 objects from Scottish museums representing six areas across the country including comedian Billy Connolly’s banana boots, Dolly the sheep and the world’s oldest football. Many more will join up as the project gains momentum through 2010, with these partnerships reflected across the BBC Local websites. Every day throughout 2010 a changing selection of objects, information and programmes will be available on mobile phones. 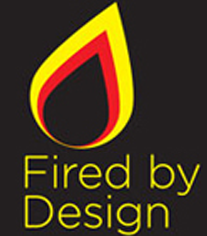 CBBC and BBC Schools will offer a range of activities, lesson plans and history trails for both children and teachers. In an exciting initiative, listeners and viewers will be encouraged to offer pictures of objects they own and explain how these objects can help tell a history of the world. The ambition is to create a unique digital museum online of objects that tell history through the eyes of museums and audiences across the UK. I take it that’s a bit of UGC – and not one of the jewels of the British Council’s collection? ‘Fraid not. Genuine historical artifact. From the Curious Fruit Marketing Museum. Or from the History of outlandish footwear in mid-70s Glasgow (travelling) exhibit.